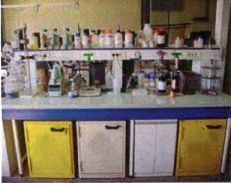 The Company has started its commercial production at Panchghara (Durgapur Express Way) factory in April 2000 with an installed capacity of 2000 MT per Annum. This has been upgraded in phase to 2500 MT per Annum in 2003 and 3500 MT per Annum in 2008 after that now its installed capacity upgraded to 4000 MT per Annum. Delivering product to meet specific end-use requirements, as opposed to standard offerings. Its role as a solutions provider to the customers. Firming up standard operating procedures. Sand Muller :150 kg batch capacity to feed the demand of green sand moulding shop. Intensive Sand Mixer :150kg/batch approx 3 tons/hour of the finest sand is produced by the latest design mixer. Core Baking Chamber :We have these for drying heavy cores. We also make CO2 cores, No-Bake Cores to meet customer's quality requirements. Fetting Shop :We have a well equipped fettling shop to carry out necessary chipping; grinding, polishing, finishing and buffing of castings. Shot Blasting Machine :To remove the sand & foreign particles from the casting and obtain smooth surface finish (Associate Company). 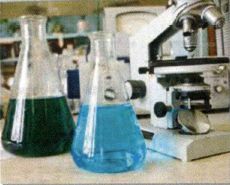 We have a chemical & associated metallurgical & sand testing laboratory to carry out testing of in-coming materials and finished product in accordance with specifications. 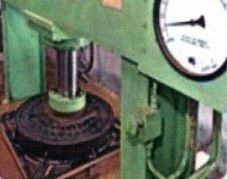 We have the following : Weighting machines Universal testing machine for testing of Tensile strength, transverse test. Brinnel, Rock well hardness testing machines for hardness test (BHN). Pody hardness tester for spot hardness test (BHN) in production floor. Load Testing mchine to test upto 50 mt load test. (For Load Test above 50M/T Test done at outside Labs).Point coating thickness test machine. This can give us the ASTM, BS, DIN, ISO, IS classifications for our full product range. We have equipments for Hydraulic testing for water or fluid line valves, Aligning Rings etc. and also for the blind flanges used along with fittings. As per the order of the Purchaser the castings may be tested for the hydrostatic test pressure. The requirements for the test Pressure shall be mutually agreed to between the purchaser and us. 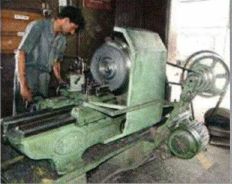 Turret lathe (ouside machine shop) Drilling machines Top drills & Bench drills. We undertake the following jobs in our machine shop : Casting machining, facing, drilling, shaping. Thread cutting, Other precision jobs/fitting jobs.